We are delighted to be able to offer a 20% discount on all one hour Elemis facials taken this week. The gorgeous Elemis Superfood Pro-Radiance facial is particularly good after time outside in the sun and will bring a beautiful glow & softness back to your skin. You will also receive a 10% discount on Elemis products at your appointment to continue your results at home. This is on top of our fabulous gift with purchase promotion! 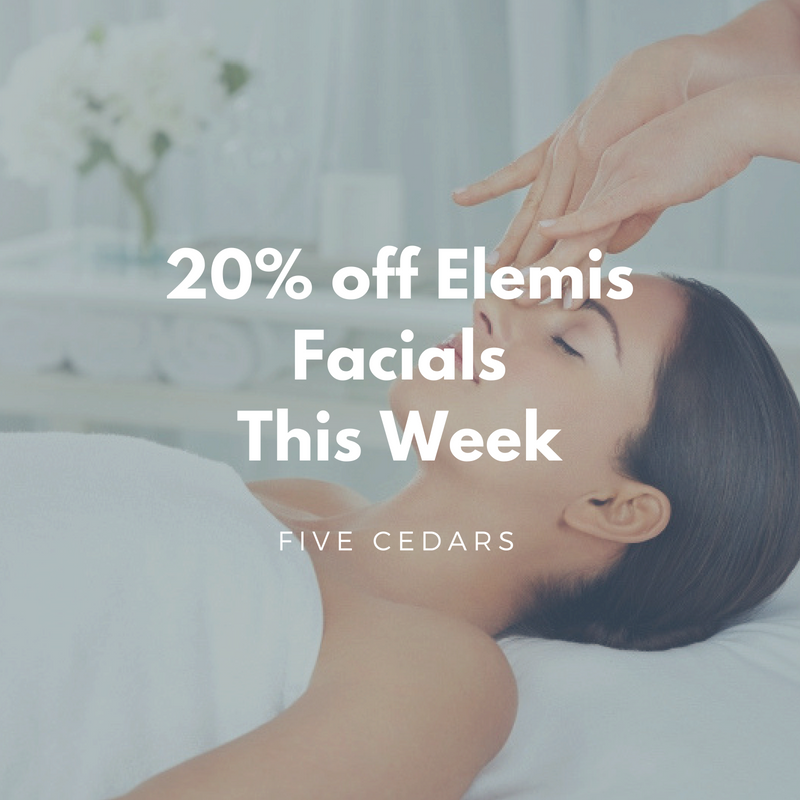 This really is the week to treat yourself to the Elemis experience at Five Cedars. This offer is available until Saturday 9th June. Subject to availability. Must be quoted at time of booking.